Nashville, TN (May 4, 2015) – Hot country newcomer Chris Lane rocketed into the Top 5 of Macy’s iHeartRadio Rising Star contest. Vying for the opening performance slot at the upcoming iHeartRadio Music Festival 2015, fans can exclusively preview Lane’s new song “Her Own Kind Of Beautiful,” at Macys.iHeart.com. “To compete with artists of all genres in the Top 5 is completely mindblowing. I can't thank my fans enough for going to bat for me," says Lane. Voting is open now through May 24 at Macys.iHeart.com or on Twitter using the hashtag #RisingStar and Lane’s Twitter handle: @iamChrisLane. The winner will be revealed on May 27. Lane will be making a special appearance at his hometown Macy’s in Winston-Salem, NC at Hanes Mall on Saturday, May 16. Starting the year off in high gear, Lane was named an “Artist To Watch” on Spotify, #CMChat, Tasteofcountry.com, TheBoot.com and Teen Vogue, Glamour and The Tennessean have been buzzing about him. Lane’s breakout single “Broken Windshield View” hit country radio and iTunes last summer, shattering digital sales with over 11,000 downloads in the first week. The single also reached Top 10 on iTunes US, Top 5 on iTunes Canada and Top 3 on iTunes Australia, and the music video for the infectious tune premiered exclusively across CMT, CMT Pure, ChrisLane.CMT.com and CMT Artists App. Becoming known for his standout vocals and energizing live show, Lane has played well over 500 shows in the past few years and has toured with Lee Brice, Jerrod Niemann, Florida Georgia Line, among others. Currently, Lane is in the studio recording his first Big Loud Mountain project with acclaimed producer Joey Moi. 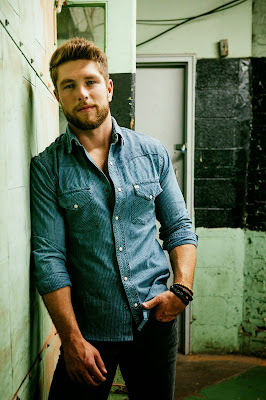 For tour dates and more, visit IAmChrisLane.com.